The band released their first EP earlier this year. 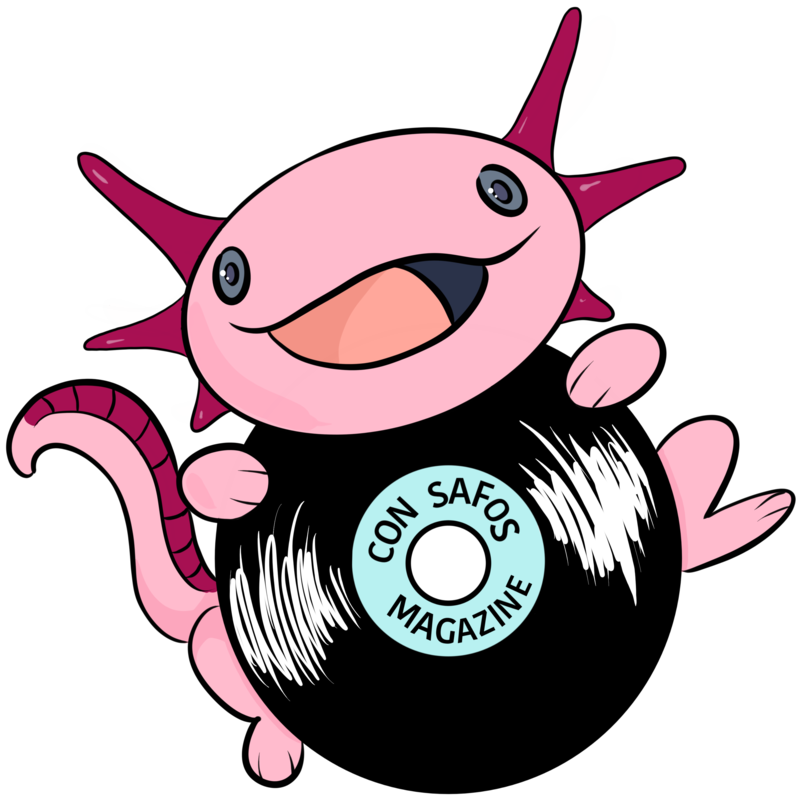 Sumohair tells Con Safos Magazine, through an email interview, about the origins of the duo as well as how they started producing their debut EP. Question: Tell us how you guys met and how did you decide to start Reyna Tropical? Answer: Me and Fabi met for the first time at Redbull Music Academy’s Bass Camp in Nashville, Tennessee. Every year they select 20 emerging music makers from around the country and we were among the selected. I remember meeting her and hitting off right away, we had a lot in common and very similar musical tastes. That same night we got into the studio and started recording. After Redbull we decided to keep recording. We came up with the name “Reyna Tropical” for our project soon after. “Reyna” is Fabi’s last name and “Tropical” is what best describes that sound that we are pushing. “Reyna Tropical” in spanish means “Tropical Queen”, so it was a perfect name for our project. Q: What is your music about for you? I know that you’re both from México and raised in the U.S., how has that kind of personal story and culture influenced your music, if at all? A: Our music for me is a collage of happy tropical sounds with samples and soundbites from the 3rd world. A colorful collaboration between 2 immigrant kids that grew up in the states, comfortable with their roots and native tongue. We love music and culture and I hope that our music represents that. Being Mexican born and coming to the states, you definitely experience the immigrant life. I think my experience as an immigrant has definitely shaped my musical taste, and feel a sense of responsibility to share and educate people about my culture. Q: Your music has so many combinations of sounds and tones, from reggaeton sounds to cumbia sounds, what inspired you to use those tones or why did you choose them? A: Yes!, there are many combinations of sounds and tones in our music. On my behalf there are 2 main things that inspire how I worked the project musically. One is my interest in Afro-Mexico and its history, I think that has fueled my fascination and respect for the exploration of the African diaspora thru music, therefore the drums and percussion stem from that. Two, is my fascination for singer songwriter Manu Chao.. I like his approach to sampling and the recycling of samples. I have folders of samples that I’ve collected over time, samples of recordings of anything from bird sounds, street sounds to afro Mexican chants. Q: On your bandcamp profile, it says that each track is one session of improvisation, can you describe what that experience is like for each of you? A: Each track has been one session of improvisation, Fabi lives in Portland and I live in Los Angeles so when we see each other we get down to business Lol. We recorded the whole E.p in my home studio, surrounded by 2 cats and a dog. Each session being about 2-3 hours, I usually start off by arranging drums and percussion while she sets up her guitars and plugs up. I play the drums and percussions that I’ve arranged for her and she begins to improvise, we lay down the bass line first and then the guitar chords. We take break, hang on the rooftop for a bit.. then Fabi begins to brainstorm vocals and lyrics while I begin add samples to the instrumental. We record vocals and then we are done. Fabi goes back to Portland and I spend the following week mixing and mastering the track. For each one of her visits to L.A we’ve recorded a track. Q: What is Reyna Tropical for you? Is it a project just for fun or are you wanting to make it something more serious? “Reyna Tropical” for me is a really cool organic collaboration with another artist that I have a lot in common with, everything flows so smoothly and very effortlessly. “Reyna Tropical”, its definitely fun.. but we don’t create anything that we don’t take seriously about releasing. So its a combination of fun collaboration, but we are also pretty serious about everything we do. Q: You just released your first EP, are you going to start working in something else (a new album)? Q: Are you thinking about touring? Definitely would consider touring once we have enough material. Q: Can you tell me about your nickname, Sumohair, what is the origin of it, how do you pronounce it, and do you like to be called Sumohair better than Nectali by the people around you? Long Story short, Sumohair comes from my years of hairdressing. I did a collection of haircuts called “Sumo” for a Hairdressing Academy inspired by sumo wrestling. Sumo stuck with me. I decided to start a sumo website for all my hair stuff, but it was already taken… the only thing available was sumohair. Sumohair was the name that i used for all my hair projects, but 4 years ago when i started to make music i decided to keep using the same name. Thats were sumohair comes from LoL. In the music world mostly everybody calls me sumo, only my direct family calls me by name these days.